employer. This includes freelancers, entrepreneurs and small businesses that have decided the collaborative working environment is better than that of the traditional office or working from home. These spaces are communal in nature, often open plan with multiple desks, meeting rooms and kitchen facilities. Coworking spaces are becoming more and more common in cities across the globe as more independent workers are discovering the benefits of working in collaborative environments. Coworking is an attractive prospect for many individuals who travel a lot for business. 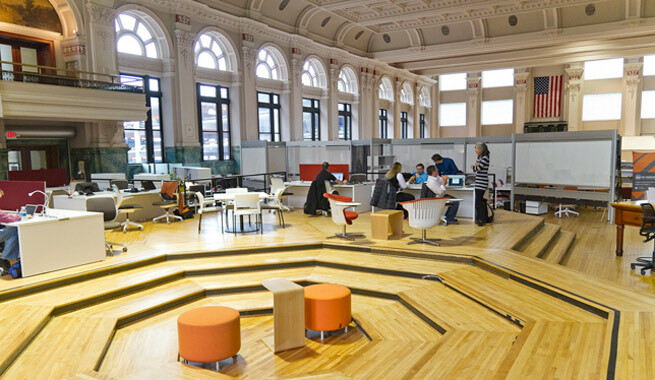 The thinking behind coworking spaces is that people generally work better together than alone. The communal environment allows people to interact with other like minded business men and women yet still be able to work on their own projects. The Coworking term was first used in 1999 by Bernie DeKoven. However, he was talking about using computers for collaborative work and not collaborative environments. Coworking as we know it today was first introduced in 2005 by Brad Neuberg. He founded the first coworking space in San Francisco. 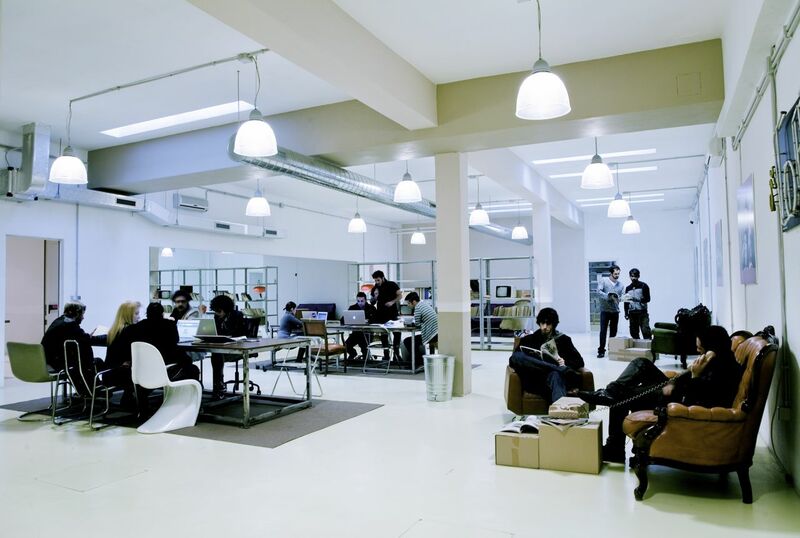 In 2006 coworking spaces were opened in San Francisco and Jelly first opened in New York allowing independent workers to come together in a shared environment. By 2008 160 coworking spaces had opened globally as more businesses started to see the benefits of collaborative working. August 9th 2010 is named coworking day and marks the anniversary of the first coworking space. 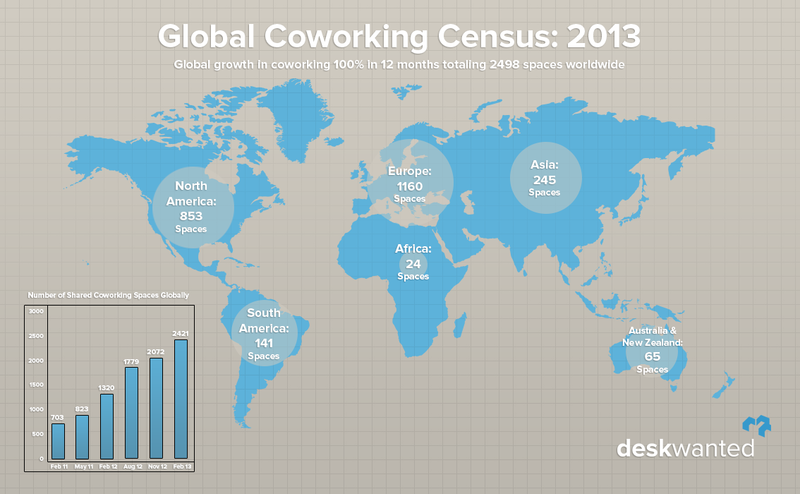 In 2014 coworking spaces can be found in most major cities across the world with more and more opening each day. So that is what coworking is and how it came about but what are the benefits of working in a communal space rather than at home if you are an independent worker? For many freelancers and entrepreneurs, getting out of the 9-5 job was a priority. Once you actually strike out on your own though, you may start to feel lonely without any colleagues to talk to and the only thing to keep you occupied all day is work. One way in which coworking spaces can help independent workers is with the social aspect of work. A coworking space will allow you to meet and mingle with others in an office environment but without all the office politics. You can still gossip next to the water cooler or share business tactics over a coffee yet know that you have no boss to answer to. Working at home certainly has its benefits. You don’t have to commute to work, you can take breaks whenever you like and if you wake up one day and don’t feel like working, you can take the day off without having to feel guilty about letting your boss or colleagues down. There are downsides to working from home though. Firstly it can be very easy to get distracted. Just a quick trip to the kitchen to make a coffee and a sandwich here, a quick check of Facebook and Twitter there and you find you’ve wasted hours. In a coworking space, although no one is going to tell you that you should be working and not searching for cat videos on YouTube. Having other people around you can help to keep you focussed on your work. A coworking space has all the benefits of working in a traditional office. You will have desk space, access to WiFi plus kitchen facilities and often you will find vending machines too. Using one of these spaces you may even meet others who are working on similar projects and help each other out by sharing resources. Or you may find someone who can give you the help you need in your business. Maybe you meet a web designer or programmer that you just haven’t been able to find up until now. The fact that so many coworking spaces are available across the globe means that wherever you want to travel to, you can probably find a space to use. 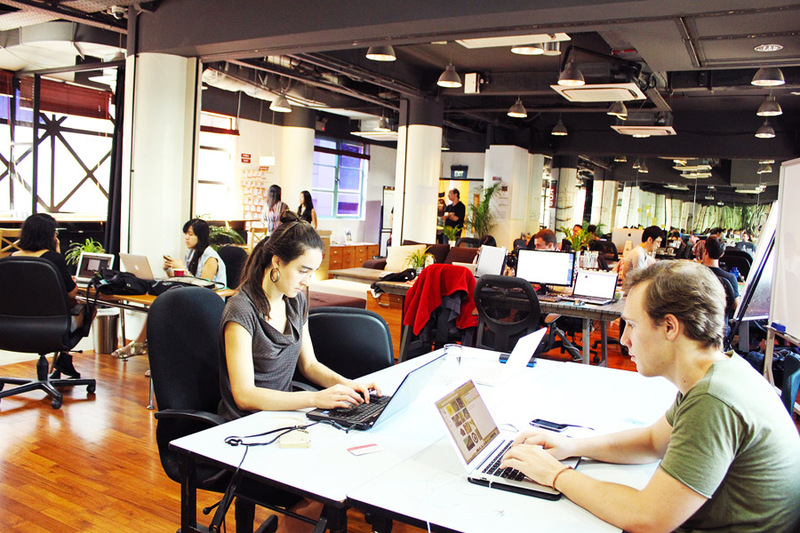 Coworking spaces are a great place to get reliable internet which can often be a problem in some parts of the world. You may also meet locals in a coworking space who will be able to recommend possible accomadtion in the city plus places to eat and drink. Coworking spaces can be a great way to find out about the place you’re travelling to. Coworking spaces can also be used to arrange meetings or even conduct interviews. Many coworking spaces have separate conference rooms and can be used whenever you need them. You may want to invite clients to a coworking space which can be more convenient than inviting them to your own home. The benefits of this collaborative working environment are almost endless. Obviously all this doesn’t come for free. At a minimum you will be charged for desk space and wifi usage. The cost of using a coworking space vary considerably depending on the amount you use it and the space’s location. Spaces will generally have several different payment packages. Most allow you to buy a day pass or set up a monthly payment and have various packages depending on how much you use the space. Unlimited use packages are available but can become costly. As well as the costs, it can be worth considering the possible drawbacks of using a coworking space. The fact there are other people using the space can be a great way to meet and socialise with other likeminded professionals but this brings with it its own problems. You may get distracted in such an environment. Coworking spaces can become noisy when busy so if you get easily distracted, it may not be the best place for you to work. If you have only recently started out in business on your own and just got out of the office environment, you may not want to jump straight back into another one but if you are finding the loneliness hard to deal with a coworking space may be just what you need. The exotic land of Thailand has many temptations for a freelancer. It is an extraordinary country. There is no shortage of beautiful places to visit, amazing culture to immerse yourself in or some of the best food to try in the world. The climate is a balmy 28 degrees on average throughout the year, although the humidity and a high of 35 degrees can make you head for the nearest AC environment in the Winter. 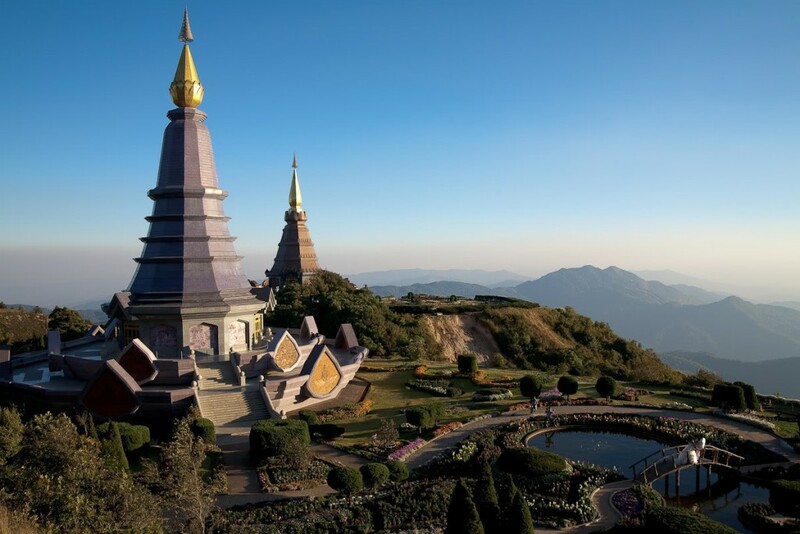 Freelancers have already spotted the virtues of Chiang Mai and there’s quite a nice community of internet wizards and SEO’s already living the good life. There are co-working spaces already set up around Chiang Mai with good internet connection at a snip at $107 per month . The cost of living makes it possible to consider Chiang Mai – a ballpark figure of a monthly living cost for a single person is $900. But is there anything to do after a hard day’s blogging? Think hiking through jungles to meet the Northern Hilltribes, shopping at the famous Night Bazaar or pop over to Laos for an interesting weekend. It’s a world of Buddhist temples, access to some of the best beaches in the world and , most importantly, a place where the digital commuter can feel at home. The South American hustling and bustling mega city offers it all. 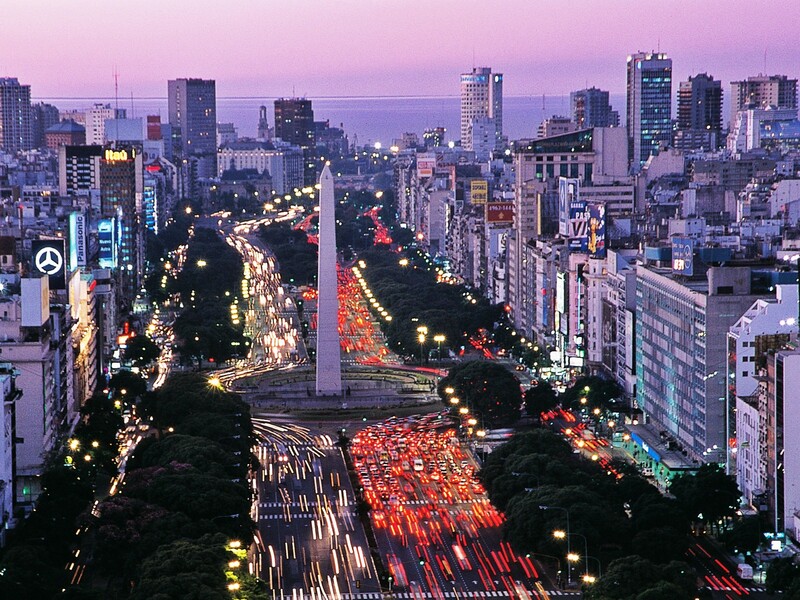 If you though the capital city of Argentina was full of Gauchos and cows, you are very very wrong. Think of an amazing vibrant city. There’s something for every freelance here. The city itself has been digitally tuned for many years now, free wifi available in many of it’s historic coffee shops way before Europe even contemplated such an idea. Sophisticated and international, if you want to live in a place where there are great restaurants, fantastic clubs, food that could blow your mind and access to some of the best spots on earth ( Iguazu Falls, Rio de Janeiro, the Andes, Bariloche…the list is endless) then head south. The cost of living is mercifully cheap. A month in a typical one bedroom apartment will cost as little as $500 and a coworking space is easily found for under $50 per month. This fast and fabulous city is one place worth checking out. There’s nothing quite like a decent beach to hang out on during your lunch break, is there? A spot of BBQ, a cold beer and maybe grab some of the best surfing in the world could potentially tempt a freelancer to throw away their old life and start anew. Brazil’s playground of the island of Florianopolis is a mecca for freelancers in the know. 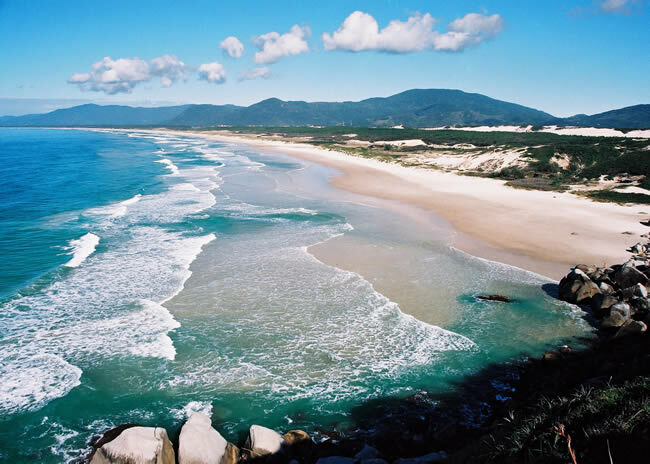 The lifestyle itself tempts the digital community away from those grey offices into the laidback, colourful world of Florianopolis. The monthly average cost of a single person is $1227 and the average cost of a co-working space is $19. Not such a bad price for a slice of paradise. Like a decent cup of coffee in the morning? 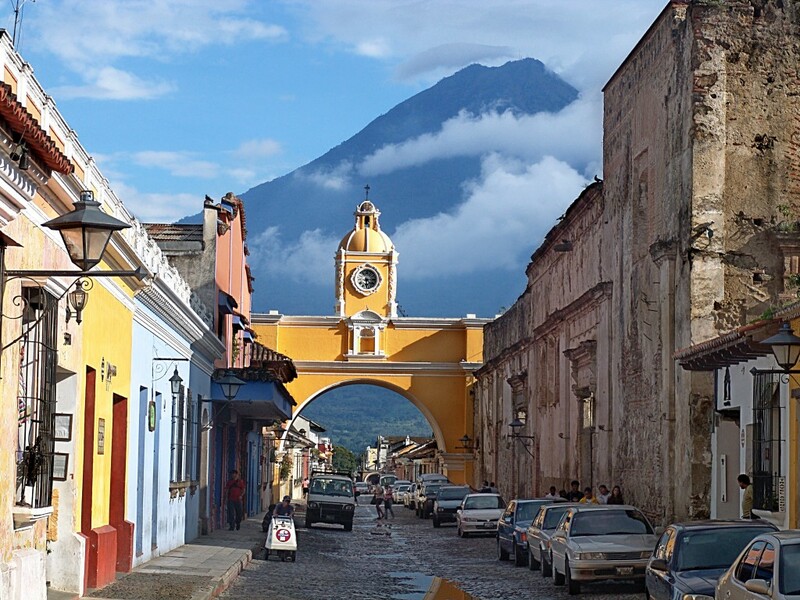 Well, how about re-locating to Antigua in central America. The local coffee grown on the volcanic slopes help the coffee reach perfection in taste. It is a colonial treasure chest. It oozes hispanic influence and history. The locals still wear traditional dress, there is an element of going back hundreds of years in time. There’s a nice international community of digital dudes here, as well as a good handful of travellers and language students. Its a great area to explore and it’s all there – working space, connection and an interesting life. There’s a mind blowing local market once a week which gives a great glimpse into the world of the local people. For something different, $593 gets you a whole new world of digital fun and a co-working space will only set you back around $104 per month. The idea of living and working in a completely new place is an exciting notion that is really taking off. If your work centres around a digital world that can be managed remotely, consider co-working in a country that you have always dreamed of visiting. The obvious reason is that costs could be a lot less that your present location and the experience of living in another country is very enticing. Forget your annual two week holiday abroad, this is a way of really enjoying the lifestyle of an amazing place at leisure.